The owners of the last nuclear power plant – the Georgia Vogtle – in the United States recently revealed that the project will continue to expand, amidst the constant disagreements over its budget overages. Reportedly, after the days of negotiations it was concluded that the half-done project will be completed despite a no-win proposition. 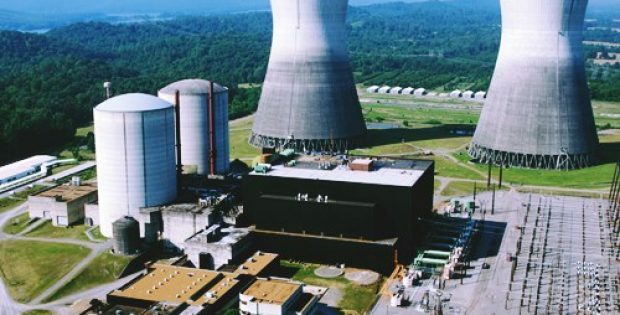 According to the sources familiar with the matter, the primary owners, Oglethorpe Power Corp, Georgia Power, and the Municipal Electric Authority of Georgia affirmed that they have come to a conclusion that “mitigates the monetary exposure” in the construction of the two new reactors at the Plant Vogtle, Georgia. It has been reported that the project had been always in doubt because it was running years behind its schedule and was billions of dollars over the estimated budget. The U.S. News reported that after the plug was pulled on a nuclear project in South Carolina in July 2017, the Plant Vogtle became the nation’s last remaining commercial nuclear plant under construction. The Virgil C. Summer plant, for the record, was called off after billions of dollars of budget overages. The owners of the nuclear plants were quoted stating that there have been and will be challenges throughout this process, but the partners are committed to a constructive relationship with one another and will be focusing on reducing project risks, while fulfilling customer commitments. The co-owners also reported that they have reached an agreement to move ahead with the construction of Vogtle Units 3 and 4, which will be very critical for the future of Georgia’s energy sector. The agreement, for the record, includes cost overage thresholds, which if exceed, will require Georgia Power to a pay an upper share of costs. The agreement also comprises a threshold over which the other owners could seek to be bought out by Georgia Power. If experts are to be believed, the agreement, for now has saved the plant, which was viewed as a linchpin in all-of-the-above energy strategy essential to sustain the country’s economic strength & energy independence by the Department of Energy.